In childbirth, as in many aspects of life, you’ll do best when surrounded by those you trust—by people who encourage and reassure you that you are doing well. Only invite people who will support and help build your confidence. Your birth should not feel like a performance. Good labor support is making sure you’re not disturbed, respecting the time that labor takes and reminding you that you know how to birth your baby. It's creating a space where you feel safe and secure and can do the hard work of labor without worry. Remember that women have helped each other in birth and afterward for thousands of years. Be sure to choose people who share your view of birth, make you feel confident and safe and will follow your wishes at your birth. Don’t necessarily assume that a friend or family member with medical experience will offer the best labor support. Studies have shown that continuous support from people without medical training (like a doula) may actually provide more benefits than support from people who are nurses or doctors, and only you know the personalities of your friends and family members. Involve your labor support companion(s) in your birth planning. Invite them to a prenatal appointment and your childbirth classes. Take a tour together of the place you will give birth. Do a “labor rehearsal” where you practice comfort measures. 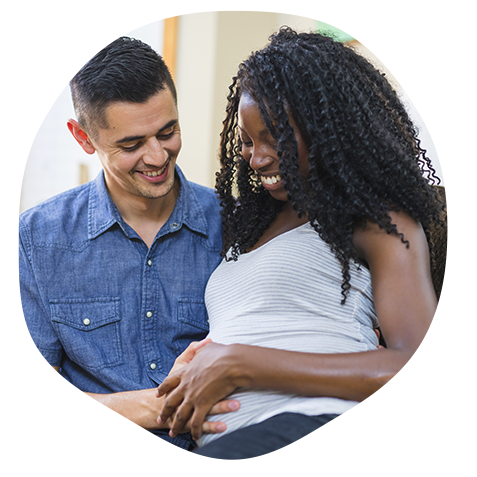 If you write a birth plan, share it with your labor support companions and make sure they have a chance to talk about it with you and ask questions. If there are several people providing you support (such as your partner and a family member or friend), make sure that the members of your “team” communicate well with each other and that each person is clear about what his or her role will be. Building team communication will ensure that everyone—including you—can stay focused on your labor, instead of worrying about how to work together. Share your favorite books, articles or websites about birth with your labor support team. If you have a friend who has used a doula, ask her to share her story and have her introduce you to her doula. Keep in mind that each woman and her birth are unique. While this doula may have been perfect for your friend, you must decide if this doula is a good match for you. Ask your midwife or doctor for recommendations. Some hospitals and birth centers provide doula services or referrals. Some providers regularly work with doulas. But remember that a doula works for you, not for your doctor or midwife. If you don’t click with the person your provider recommends, keep searching. Ask your childbirth educator for a referral. They have heard many birth stories and may know the local doulas who have helped other women, or may work as a doula, too. By spending time together in your classes, you’ll get to know each other before your birth. Check the websites of the organizations that train and certify doulas, such as DONA International. Most of these sites will let you search by location for a doula near you. Interview several doulas if possible before choosing one. When getting ready for your interview, think about what you want your doula to do for you. How will she fit in with the rest of your labor support team? Think about the ways you deal with challenges and how you like to be treated when you need support. What helps you to relax? Do you like lots of massage or do you prefer the distraction of a conversation? How does your partner want to support you? Does he or she want to participate in the physical support or just to be there emotionally for you? Ask the doula how she sees her role at your birth. If your insurance doesn’t cover doulas and you can’t afford the doula’s fees, look for a doula-in-training. She may not have as much experience with birth as someone who is certified, but she may attend your birth for little or no fee in order to earn her certification. Some communities have volunteer doula services for women in need. Some doulas will write a contract for women to pay over time or even trade for another service that you can offer to her. What Do You Need from Your Birth Team? Good birth support can include reminding you to eat and drink, wiping your face or brushing your hair. It can mean helping you change positions, giving you a massage, putting a cool cloth on your forehead or whispering words of encouragement. It can be your partner holding your hand and reminding you how beautiful and strong you are. It can be your doula focusing complete attention on you as you cope with each contraction. Good birth supporters try to respond to all your physical and emotional needs throughout labor.